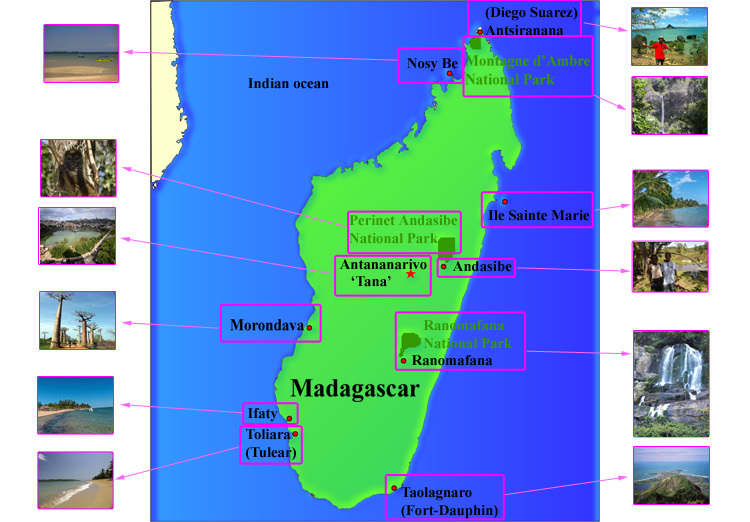 Madagascar guide, offering accurate information on Madagascar hotels. How to organise your holiday to Madagascar. Popular activities, photographs and information about Madagascar hotels. Madagascar is a large Island off the East coast of Africa in the Indian Ocean with an incredible diversity of wildlife and flora of which 80% is endemic to Madagascar. Madagascar’s landscapes, people, beaches and undiscovered areas will delight those with a taste for discovery. A holiday to Madagascar can expose you to mountains, rain forest, dazzling beaches & coral reef surrounded by clear warm waters.